Get some great advice on how to identify, select and taste wine by our expert sommelier. Held in a lovely location in central Athens, you will go on a journey through the wine regions of Greece and get a much better understanding and knowledge of wine in general. Discover the differences between the wines of Santorini, Crete, Monemvasia and Northern Greece.By his refreshing approach, our sommelier will take you through a variety of products to build up your Greek wine knowledge, allowing you to understand how to taste our precious wine in combination with various cheeses and smoked hams, all produced exclusively in Greece.One thing is certain, when our tasting reaches its conclusion, you will be in love with all types of Greek wine! After meeting with our Wine Expert outside the Acropolis Metro Station, we will begin our 2 hour journey through the grapes and wines of Greece by taking a wonderful tasting of wines and various products from all over the country. Greece is the first territory in Europe and one of the oldest regions ever to produce wine in the world. 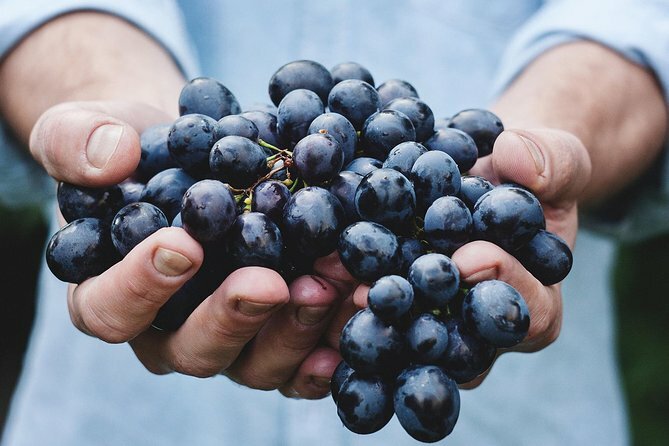 It is easy to understand that, with the earliest evidence of wine production going back at least 6.500 years, the art of wine making is deeply rooted in the traditions, religion and habits of Greece. From ancient times it has always been ranked among the five primary elements of our diet along with water, salt, oil and cereals. Wine from every part of the country was exported extensively and all around the Mediterranean, whether it was the prestigious Greek wines reaching Italy under the Roman Empire or the various wines exported from many Greek ports during the medieval times. Greek wine was always characterized by a great variety and the highest of quality. During our tasting you will get great advice on how to identify, select and taste wine by our expert sommelier. You will go on a journey through the wine regions of Greece and get a much better understanding and knowledge about wine in general. In our preferred wine bar, situated only a few minutes’ walk away from the Acropolis Museum, we will offer you a marvelous taste of 8 glasses of wine from all over the country. Discover the differences between the extraordinary wines of Santorini, Crete, Monemvasia and Northern Greece. By his refreshing approach, our sommelier will take you through a variety of products to build up your Greek wine knowledge. You will also learn how to combine our wine with various cheeses and smoked hams, all produced exclusively in Greece. You will be taken through the old varieties of Greek grapes, how and where they grow and the many styles of wine they make. You will learn a lot about our wonderful wines and understand first hand why everyone in Greece loves enjoying a glass of wine. One thing is certain, when our tasting reaches its conclusion, you will for sure have fallen in love with all types of Greek wine! Personal Expenses (i.e. souvenirs etc. Accompany your extraordinary selection of wines with a dish of traditional products, all exclusively made in Greece.